Applications for St. Paul’s Early Education Center are available online and may be completed at any time regardless of the prospective child’s age. 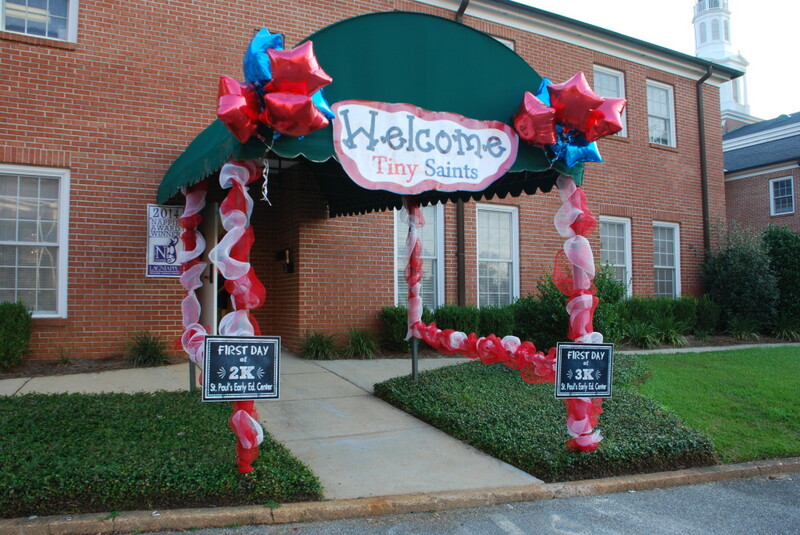 Priority enrollment is given to members of St. Paul’s Episcopal Church, current and alumni families of St. Paul’s Early Education Center as well as current and alumni families of St. Paul’s Episcopal School. All applications are considered based on application date. Therefore, many families choose to apply well before they hope to send their child to the EEC. All families are required to tour in the year prior to their child’s enrollment at the EEC. Tours begin the week after Labor Day and are offered at 8:00am Monday, Wednesday, Thursday and Friday until December 1st. Please plan to bring your prospective EEC student and allow an hour to tour. To schedule a tour, please contact EEC Admissions Director, Kathryn Thompson, by email kathryn@stpaulseec.com or phone 251-725-0048. If you have applied in the past, please update your application to reflect the school year for which you are currently applying. Thank you so much for your interest in St. Paul’s Early Education Center!